No worries. I just hope your issues are resolved with the update! I will test it and will report soon! I tested the 1.10.2 version today and the hopper duct are still unable to pull out items in the Drawer Controller of Storage Drawers. However I tried to figure out where the problem ist but ItemHandler is too complicated. So I made an alternative method and recplaced the last hopper duct with a normal hopper. 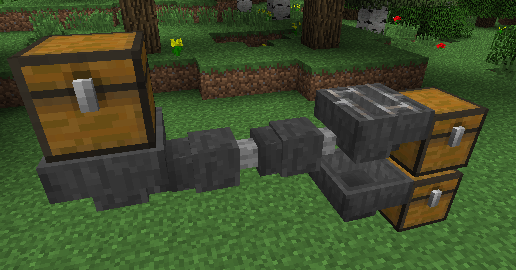 The normal hopper is able to pull out items in the Drawer Controller. That's how it works now. But I wonder why the hopper can pull out items and the hopper duct do not. Other mods that have trouble with ItemHandler can do this workaround with normal hopper to solve the issues. I second that. I would have loved to do the work myself to fix (revert?) the behavior of grated hoppers, because right now it basically doubles how many hoppers you need for sorting. I recognised that Hopper Ducts for 1.10.2 does not accept ItemHandler support for forge. Will this be added in a future update to bring compatibility to other mods? If Forge worked as it should, it wouldn't be a problem. The next release for that version will have a workaround which will hopefully resolve it. Is there support for 1.12 for mods? I think you should edit the description if the grated hoppers pull everything from an inventory above them of you change how it is intended to function now. I miss that feature though. I think having only 1 slot in an item duct was the way to balance it's cheap recipe out. Even if there's a more expensive itemduct with 5 slots in it, you might as well use a hopper instead. Just sayin. The grated hoppers still pull items in that's not assigned to it but luckily doesn't puts it in the chest it's connected to. Thanks for the new update. Now I can have a feasible massive storage system. That's the intended function. Typically people set up vertical arrays of grated hoppers and all unwanted items make their way downward until they either find a grated hopper that matches or is pulled out by a regular hopper to put into unsorted. The present mechanics of the grated hopper though are handy. Don't get me wrong. There just need to be work around it since people are used to the bulky redstone sorting system. 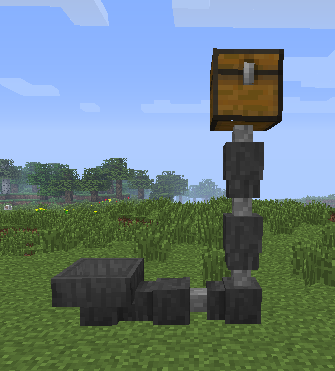 I seem to have initially misunderstood what you meant in regards to functionality for the 1.11.2 version. It is indeed functioning differently due to a workaround I used for some other issue that I don't even recall anymore, related to all the vanilla and Forge inventory changes, which were a headache. I'll upload a fix shortly. Hello FyberOptic, thanks new version, it was great ! BUT it is not working !!! :( In older version, i use sorting system from patch of regular hopper up and grather hopper down flushing the sorting items to a chest and other flow from regular hopper away ... in new version, items drop to grather hopper even if this not sorting and stay here !!! All the sorting system crashed and not working :( PLS make a same grather hopper like in 1.9 :(( this is useless ! I got a bug with Storage Drawers. I used the hopper ducts to put items in the drawer controller. 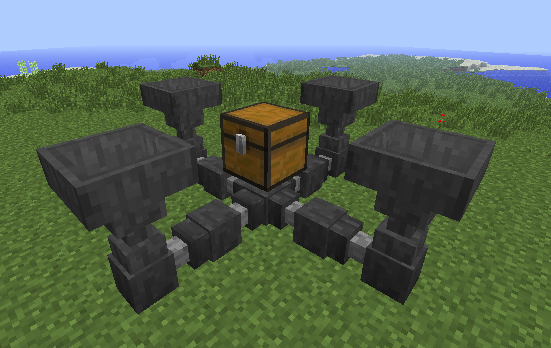 But since version 3.7.0 for 1.10.2 Storage Drawers did not work with hopper duct anymore. Can this be fixed? The mod bugs will soon be fixed ? I'm also having the issues others are reporting with the grated hopper. If you would like, I would be happy to share a complete MultiMC instance you could use to replicate this issue.